Sumner Regional Medical Center celebrated the grand opening of its new Emergency Room at Sumner Station, the first free-standing ER in Gallatin. The new facility will begin seeing patients on Monday, March 20, at 8 a.m. The new Emergency Room at Sumner Station is located off of Exit 12 on Highway 386/Vietnam Veterans Blvd., at 225 Big Station Camp Blvd. HighPoint Health System and Sumner Regional Medical Center (SRMC), part of LifePoint Health®, today celebrated the completion of construction and grand opening of a new free-standing Emergency Room at Sumner Station in Gallatin. The $5 million, state-of-the-art Emergency Room at Sumner Station will provide Gallatin with a second emergency room to provide expanded access to residents of the city and surrounding communities. A group of more than 200 medical and clinical staff, community leaders, elected officials and hospital supporters joined Susan Peach, Market President of HighPoint Health System and CEO of SRMC, to help celebrate the grand opening of LifePoint Health's and HighPoint Health System's first free-standing Emergency Room. The event included a ribbon-cutting ceremony, followed by tours of the new emergency room. "The addition of a free-standing emergency room was an absolute need in our community," said Peach. "We have seen a steady increase in patient volume at SRMC with the growth that has taken place in Gallatin and Hendersonville over the last 10 years, and are pleased to be able to bring emergency services much closer to home for many of our residents in southern Sumner County. We continue to be extremely grateful to the leadership team at LifePoint Health for recognizing the need for expanded services at Sumner Regional and for their ongoing support in fulfilling our mission of Making Communities Healthier." 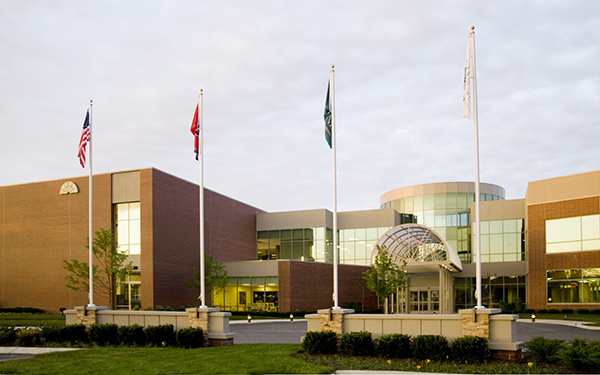 With the $5 million investment in the new Emergency Room at Sumner Station, following the $18 million investment in the Carpenter Cancer Center that opened in March 2016, LifePoint has invested more than $60 million in HighPoint Health System's hospitals, including Sumner Regional Medical Center, since the hospital became part of LifePoint Health in 2010. "It is so rewarding to see our mission of Making Communities Healthier come to life in such a real and visible way," said Scott Raplee, president of LifePoint's Central Group. "We are so proud of the great care being delivered here at Sumner Regional, each and every day, and we know that this new free-standing Emergency Room will be a great resource for the community." The new Emergency Room at Sumner Station will be the first free-standing ER in Gallatin, providing emergency care for both adult and pediatric patients. The new ER features comfortable waiting areas, and an on-site laboratory and X-ray for instant lab and diagnostic imaging results, and access to the Diagnostic Center at Sumner Station, which features comprehensive imaging technology including CT, PET CT, MRI, Ultrasound, and X-ray. Care will be provided by a highly trained emergency medicine team and a skilled nursing team that consistently receive high scores in patient satisfaction at Sumner Regional Medical Center. The staff has recently expanded to have enough physicians and nurses to provide care at both emergency room locations. The emergency medicine physicians caring for patients at the Emergency Room at Sumner Station are part of Emergency Physicians at Sumner, a privately owned physician group consisting of 15 physicians who are all board certified and residency-trained in Emergency Medicine. "On behalf of the emergency medicine team at Sumner Regional, we are proud to have an additional location to provide high quality, life-saving care in Gallatin and Sumner County," said Dr. Ray Pinkston, SRMC Medical Director and emergency medicine physician at Sumner Regional. "We are thankful to LifePoint and to the leadership team at Sumner Regional Medical Center for their continued commitment to providing the very best in life-saving emergency care to the residents of the communities who rely on us." The Emergency Room at Sumner Station was designed by HPK Architects and the construction and renovation project was completed by Batten & Shaw Inc. The project was initiated in September 2016, following approval by the Tennessee Health Services and Development Agency. Located at Sumner Station at 225 Big Station Camp Boulevard, Exit 12 on Vietnam Veterans bypass in Gallatin, the Emergency Room at Sumner Station is just seven miles from Sumner Regional Medical Center. To learn more about the Emergency Room at Sumner Station, visit http://www.SumnerStationER.com.